Why did you come to Dalhousie? Homecoming weekend asks us that very question. We each have our reasons, be it the call of the ocean, that it’s close to home or the lure of a lot of bars in one student-congested place. But for some, it’s the influence of those that have come before them: family. Word of mouth matters in university recruiting. It’s why the seal of approval from a family member is the deciding factor for some. That’s where the inspiration for this week’s cover stories comes from. 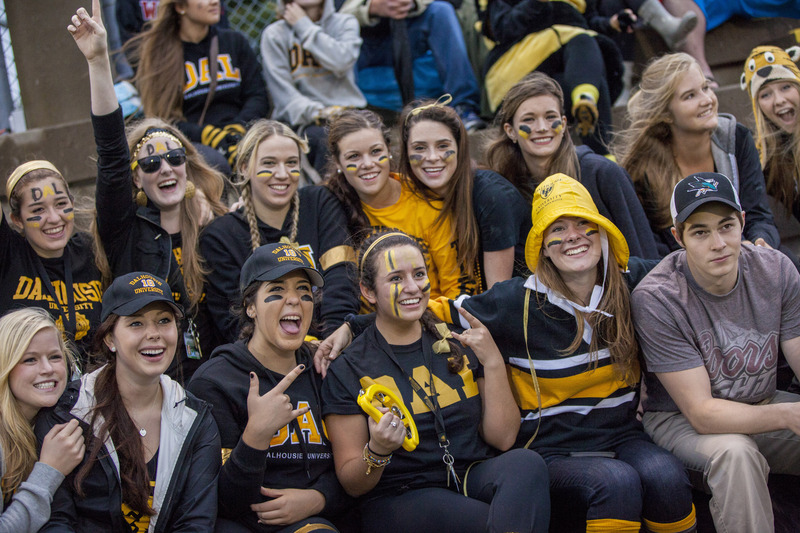 Our sports teams are perhaps our best example of Dal’s family ties. With the Stammberger’s, it’s a son and daughter following their mother’s career as a varsity basketball athlete. With the Ur’s, it’s a friendly brotherly rivalry. These are the people who wear black and gold with pride. The people most likely to enjoy their time at Dal come back for a homecoming celebration a decade from now and donate some hard-earned cash to their alma mater. See how it all comes together? In a roundabout way the Dalhousie Gazette, a mainstay on campus for 146 years, is built on those same principles. Of family, of pride in our school. Like a family itself, we are growing up. Unlike a normal family, we have the evolving realities of the print business to contend with. We made changes to our publication this year. Homecoming weekend, a celebration of our past and a toast to our future, seems like the appropriate time to acknowledge it. Gone is the folded bohemia of the past. In its place is a flashier, full-colour publication. Think of it as a tabloid—by format only, not by editorial content. We made a higher-quality product thanks to the costs saved in lowering our print circulation, aware that more of you are discovering your campus news online at dalgazette.com or through social media. This was all done with you—our student body, our extended family—in mind. We want to be relevant to you. It started with our O-Week issue, in which we presented our ‘Dalhousie Survival Guide,’ 33 tips on how to make the most of your time here. One first-year student confessed to me that he read the whole paper, cover to cover. To him, and our other ‘family members,’ we say thanks. The Gazette joined forces this summer with six of the country’s largest student publications— including The Varsity in Toronto and The Ubyssey in Vancouver—to form a new content sharing service. The union formed when several of our student media brethren decided to start our own newswire service. This is separate from the wire service we exited by leaving Canadian University Press (CUP), a national student press cooperative. The Gazette left CUP in 2011 as a cost-cutting measure. After two years without a wire service, the Gazette is pleased to once again provide university news from a broader perspective, for free. Got an on-campus event that needs publicity? We can help. New to our print and online editions this year is a space for upcoming events to be showcased. All you have to do is send us an email with necessary details to events@dalgazette.com. Please include the name of the event, date, time, place and any registration or ticket information. We are always on the search for creative content. Whatever your artistic flair, your creative submissions are welcome with open arms. Send your ideas to creative@dalgazette.com. The Gazette is by students, for students. We need you to make Dal’s student news source what it is today and what it can be in the future. Journalism experience is not necessary. Our editorial staff is here to train and guide volunteers of any skill level. Drop by our weekly contributors meetings Mondays at 5:30 p.m. (Room 312 in the SUB) or send an editor an email (see our ‘contact us’ page online) to get involved. You can write a brilliant essay read by one professor, or you can pen a compelling article read hundreds even thousands of times. We choose the latter—but you should still write the essay.